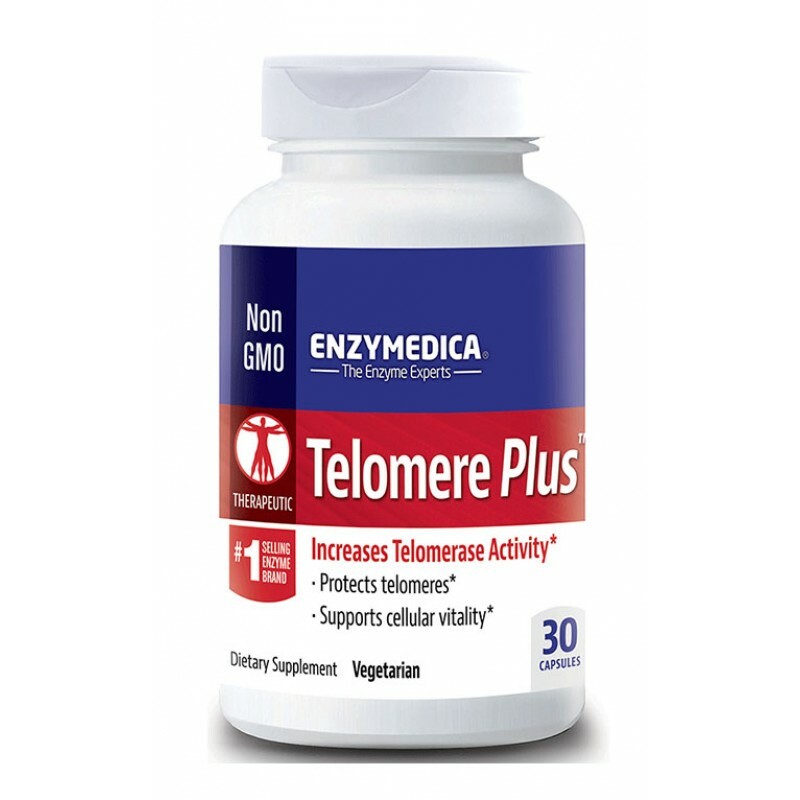 Enzymedica Telomere Plus is a naturally occurring enzyme that lengthens telomeres and protects them from shortening. Telomere Plus™ has been shown to increase telomerase activity. Telomere length has a lot to do with aging and is what some scientists have used to assess biological age. Young cells have long telomeres and older cells have short telomeres. This is because every time a cell divides, the telomeres get shorter and shorter. Eventually, they become too short to sustain cell division, and the cell dies. This is cellular aging. Other factors besides aging that may lead to accelerated telomere shortening include stress, lifestyle choices and environmental toxins. Maintaining telomere length is essential to overall health, and can be accomplished by supplementing with a telomerase activator. * Telomerase is a naturally occurring enzyme that influences a cell’s ability to lengthen telomeres and prevent them from shortening. Most cells do not have sufficient levels of this enzyme to maintain telomere length. The synergistic ingredients in Telomere Plus™ have been shown to activate telomerase and may support increased energy. 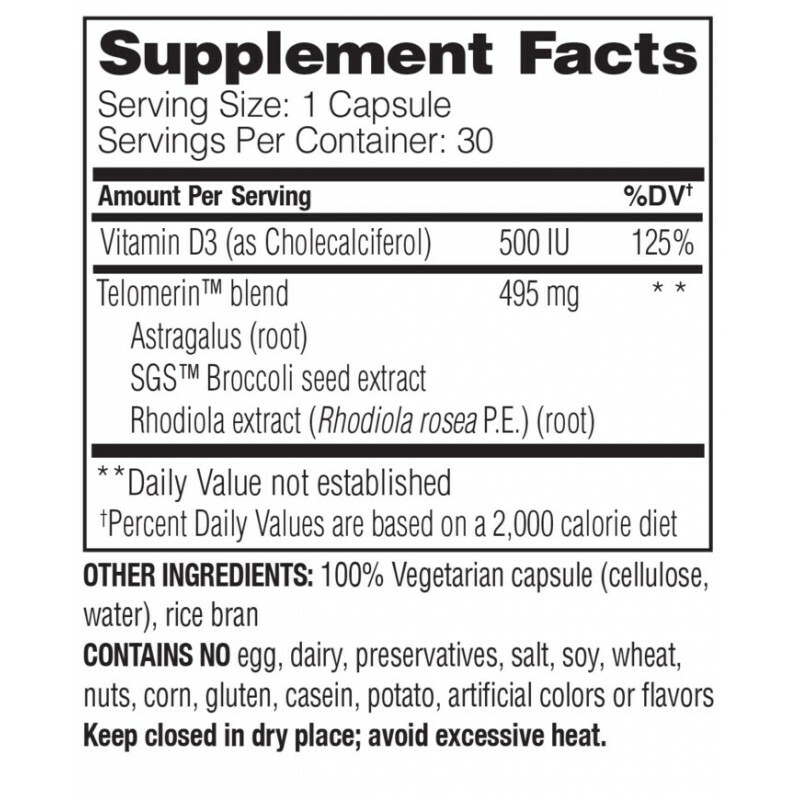 Recommended Use: 1 capsule daily with or without food.